RAISE THE ROOF. 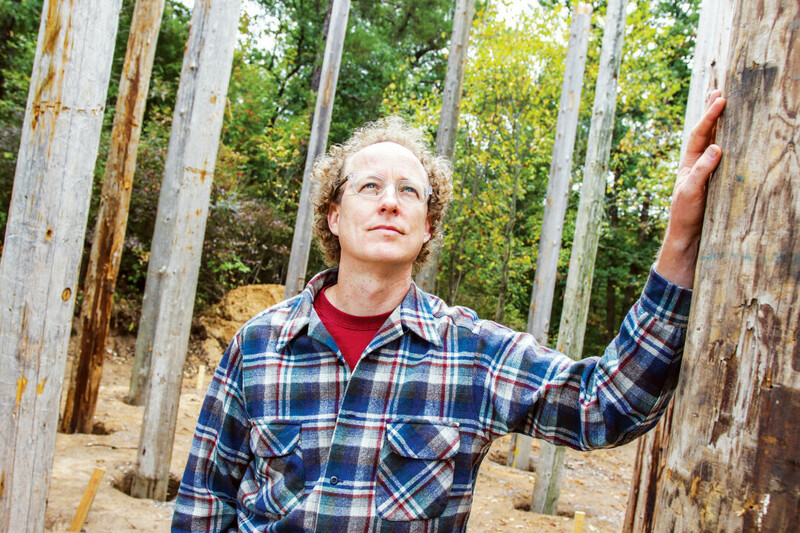 Local artist and landscape designer Joe Maurer surveys the initial construction of a pavilion he designed for Beaver Creek Reserve. The new pavilion will offer shade to visitors. 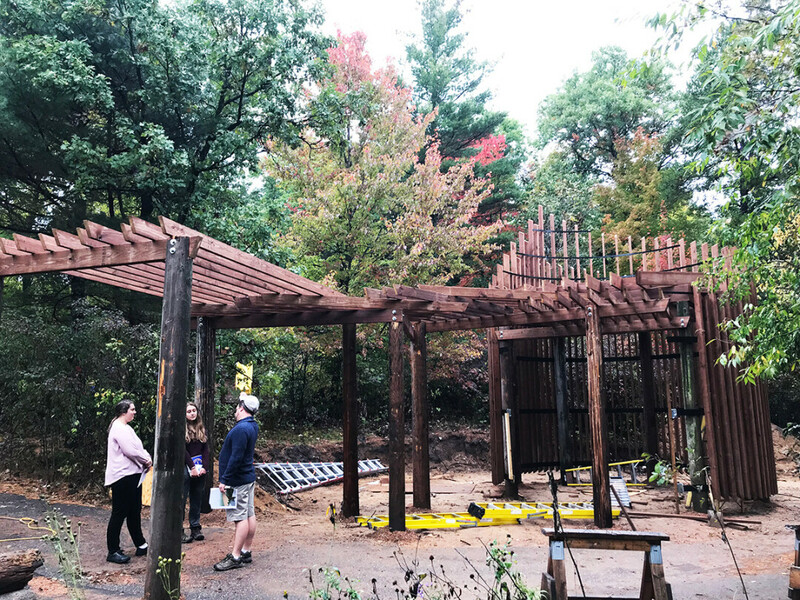 Beaver Creek Reserve recently broke ground on a new shade pavilion adjacent to the butterfly house, designed by local artist Joe Maurer.The structure will replace an old, seldom-used amphitheater, providing a space for visitors to rest, picnic, and relax in the shade. “Visitors are spending more time at Beaver Creek, having picnics and snacks, while also needing a space to rest in the shade and an area for toddlers to learn and explore further – were all things that we saw as requirements for the new structure,” said Erik Keisler, the reserve’s executive director. Beaver Creek has seen a 104 percent increase in visitors since 2015, when they installed the Scheel’s Discovery Room and the Nature Nooks, places where children could actively engage with learning opportunities. Keisler wanted to build off of the momentum by providing even more outdoor play areas. Beaver Creek noted a need for a place for families to rest and eat. Many visitors currently go back to their cars to eat in the parking lot The new space will provide the perfect environment to recharge between trail explorations, classes, visits to the butterfly building, and more. The pavilion, built mainly of wood, will integrate into the landscape, following a gentle uphill slope that reaches a circular gathering space. Maurer refers to the design as “part landscape, part architecture.” Translucent 3-6 foot butterflies will hang from the ceiling, casting colored shadows on the ground. “Our board approved his design and was very enthusiastic about his concept,” Keisler said. Beaver Creek Reserve secured initial funding for the project through grants and from its endowment. They also plan to offer sponsorships for the butterflies to local organizations and individuals at $1,000-$1,500 each. The new structure is scheduled to officially open next spring.